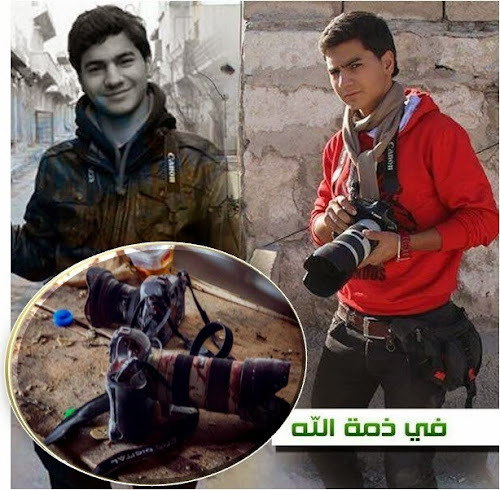 BEIRUT, Dec 21 (Reuters) - A Syrian photographer who took pictures for Reuters on a freelance basis has been killed while covering fighting in Aleppo, activists said. Molhem Barakat died on Friday as he took photographs of a battle over a hospital between rebels and forces loyal to President Bashar al-Assad. Rebels had accused government forces of turning the Kindi Hospital into a barracks. As well as covering the conflict, Barakat took pictures showing the life of ordinary Syrians in the divided city, which used to be Syria's commercial hub. The civil war in Syria has claimed the lives of well over 100,000 people since 2011 and driven millions into neighbouring countries.